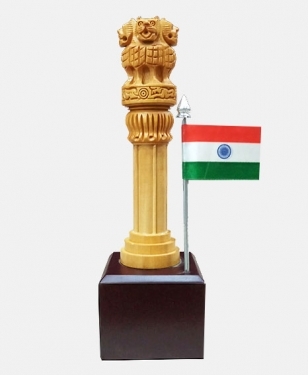 Ashoka pillar the National symbol of India. 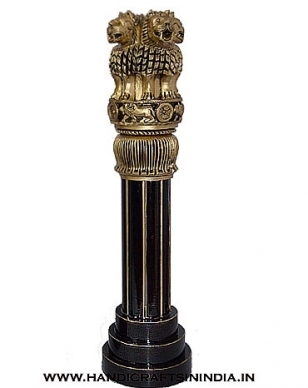 The lion capital of ashoka stands with its head high in aesthetic glory at sarnath. 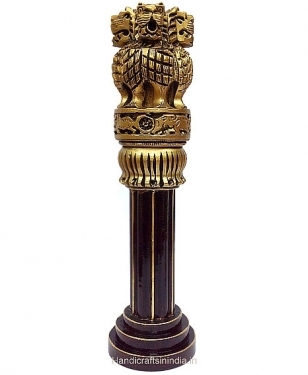 These are sculpture of four lion standing back to back and each lion statues are topped on an enverted lotus as well as on round shaped pillar. 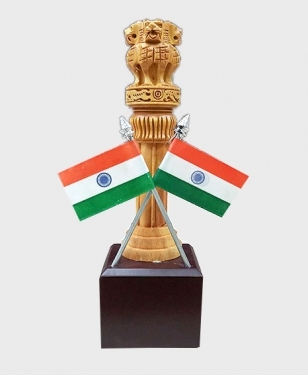 There are the wheel “ Ashoka Chakra “ that stands at the center of the indian national flag was taken from the base of the Lion capital of Ashoka. 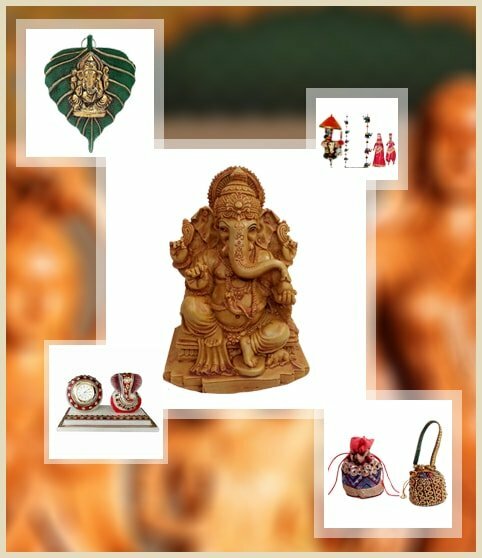 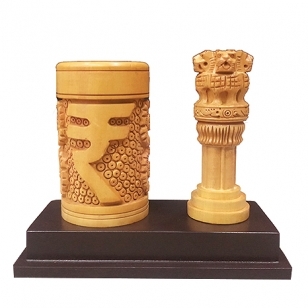 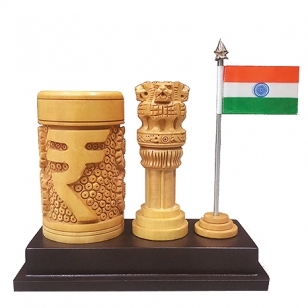 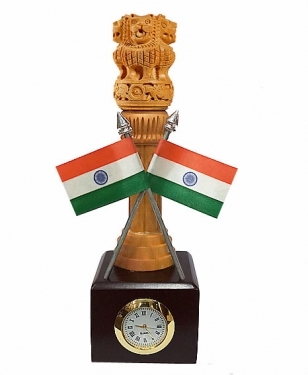 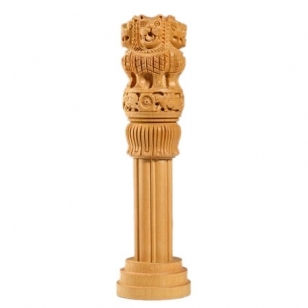 Wood Carving Ashoka pillar: We make wooden ashoka pillar in wood carving, these all ashoka pillars are handmade and crafted in single piece of wood by our master craftsman using their hand art. 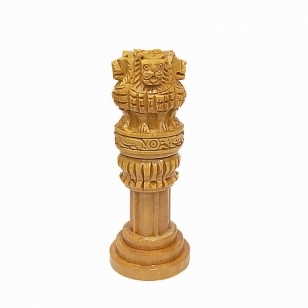 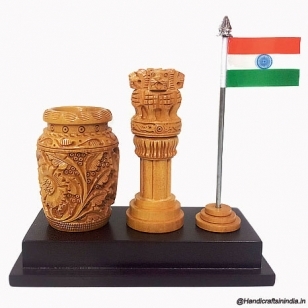 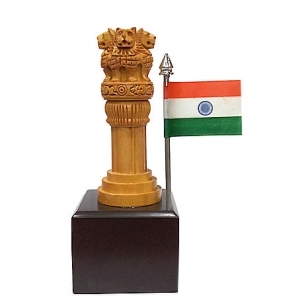 Wood carving ashoka pillar is available in various size as 4”, 5”, 6”, 8”, 10”, 12” and big sizes.